As your professional handyman contractor in Gilbert, we thought you should know. Where bathroom remodeling is concerned, keep it simple. What does that mean exactly? Well, as we covered previously, another big mistake that people make when they’re remodeling their bathrooms is to pick the wrong sort of fixtures. We know that when you are doing a bathroom remodeling project, you dream big. Want a faucet that lights up? How about the latest thing in personal indulgence. However, what’s in and hip today will probably be very out of date and tacky within five years, maybe less. This applies to fixtures, materials, as well as the color scheme you use. Some edgy designer tells you with absolute authority and certainty that avocado green and bright day-glo orange will totally transform your bathroom is right. Remember, and this isn’t meant as a joke, but your bathroom is an extreme environment. It can be hot, cold, steamy, dry, all within a few minutes or hours. That change can have a bad effect on so many materials in your bathroom. Have wallpaper? Ever seen it bubble? That’s usually caused by changes in temperature. Have a travertine countertop or shower? If it isn’t sealed, natural stone is incredibly porous, meaning that it can get stained or damaged. Wood can swell to over three times it’s size if it isn’t treated properly and exposed to too much water. Textiles can be breeding grounds for mold and mildew. So be smart. Choose products that are designed specifically for your bathroom. 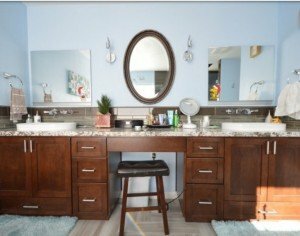 Another thing that you have to consider is that isn’t just about how pretty your bathroom looks after you remodel it, it is also about how functional and safe it is. The problem with natural stone is that it looks beautiful, but you’re going to have to treat the stone with a stone sealer to keep it looking great, and preferably one that is non slip in a shower. 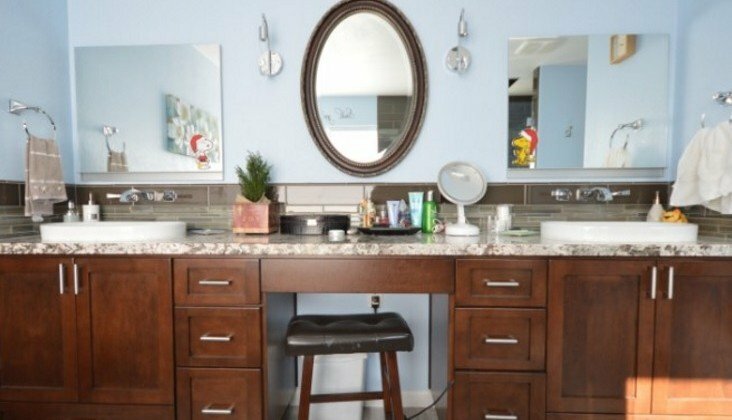 All these things and more are points to consider when you want to remodel your bathroom. Remember, what you don’t know can hurt you, one way or another. So be smart. Stay safe. Hire a handyman contractor to remodel your bathroom. Read our next article here.